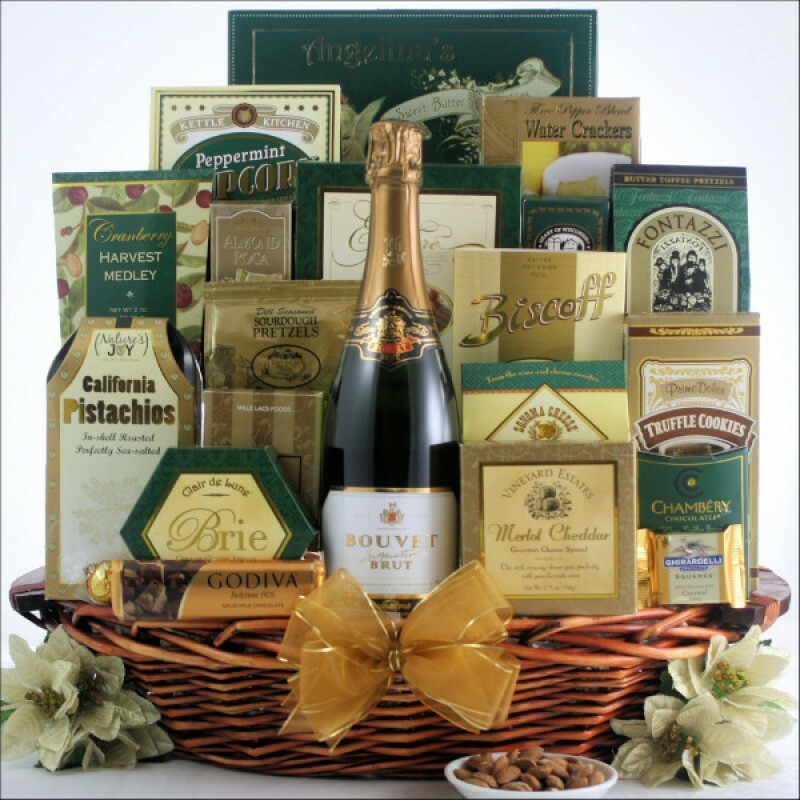 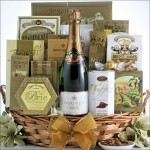 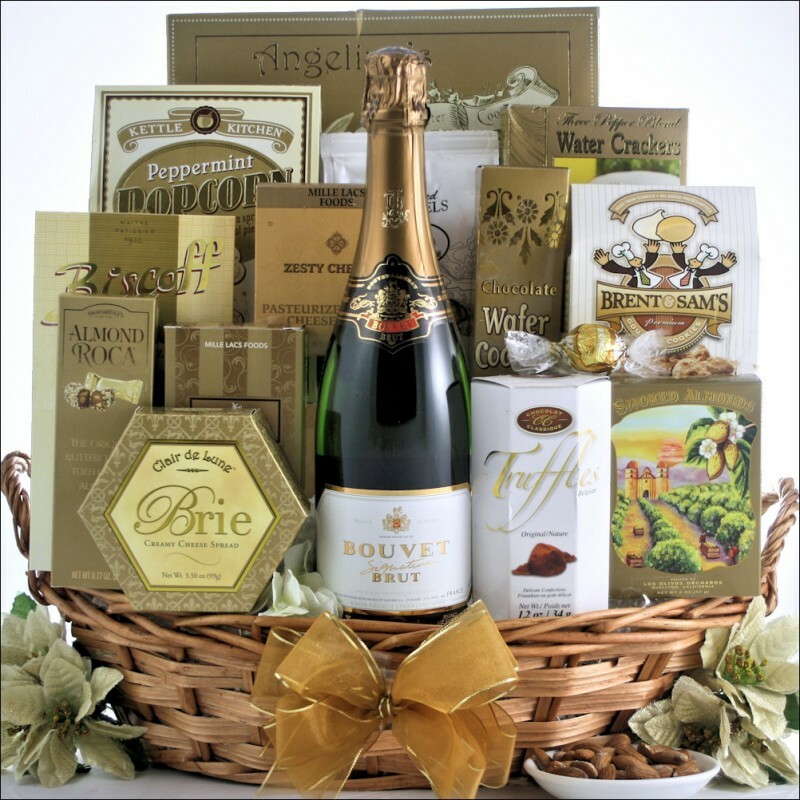 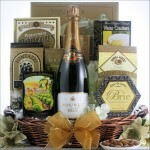 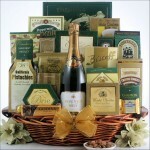 Our Elegant Expressions gift basket is just that, Elegant. This beautiful basket has a great assortment of gourmet foods including delicious cheeses, crackers, chocolates and snacks. 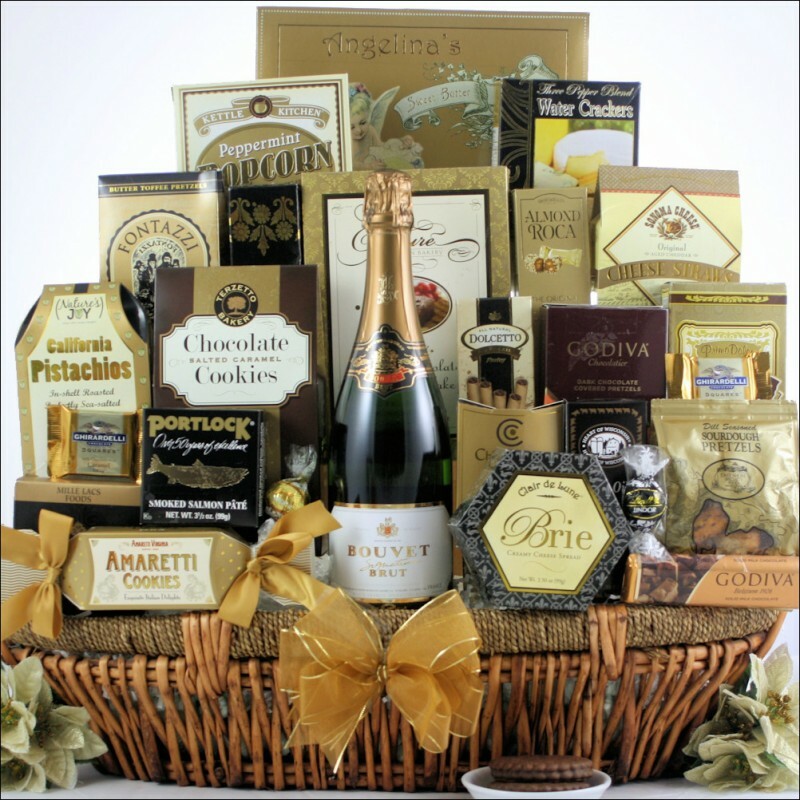 Features premier chocolates from Lindt as well as sweet butter cookies from Angelina's, smoked almonds, butter toffee pretzels, peppermint popcorn and more! 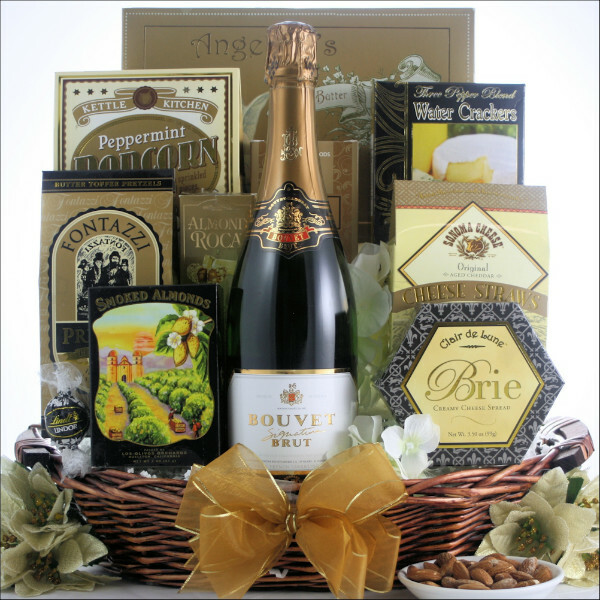 Top this basket off with a popular bottle of Bouvet Signature Brut French Sparkling Wine and make it an even more ''Elegant'' choice, perfect for any occasion.